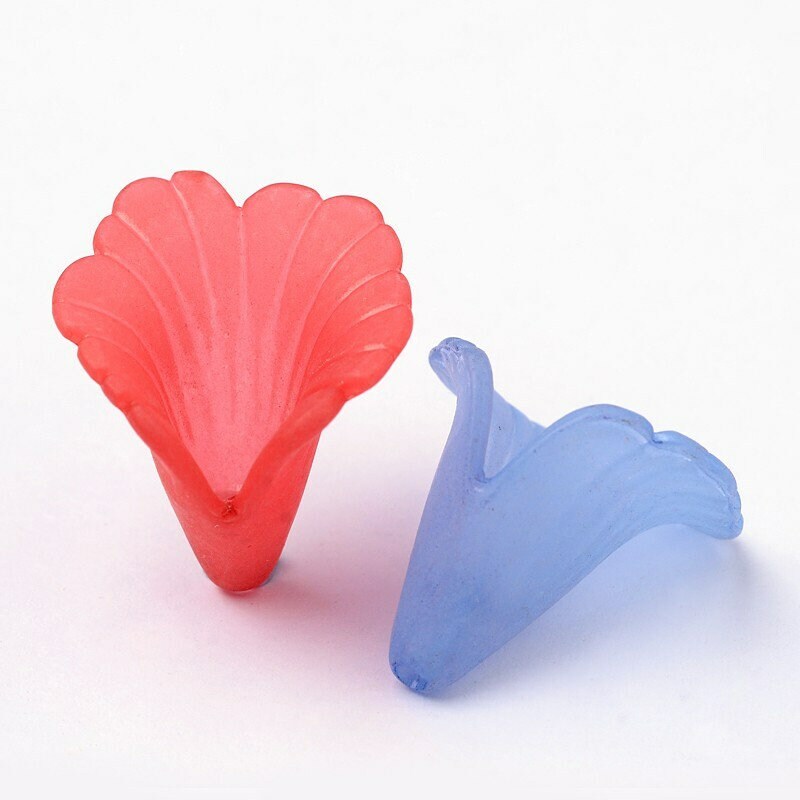 Lovely frosted translucent acrylic mixed color large lily flower cap beads. You will receive 20 beads in a mixture of colors. Great for layering with different sizes of flowers. 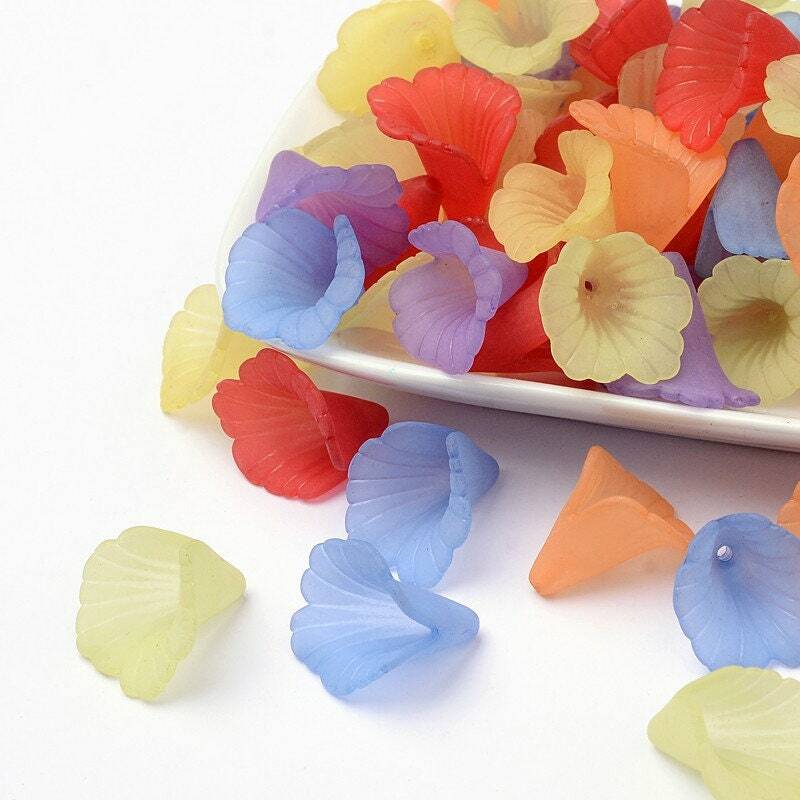 Great for crafts - for floral themed jewelry making - necklaces, bracelets, earrings - fiber arts, macrame and more.